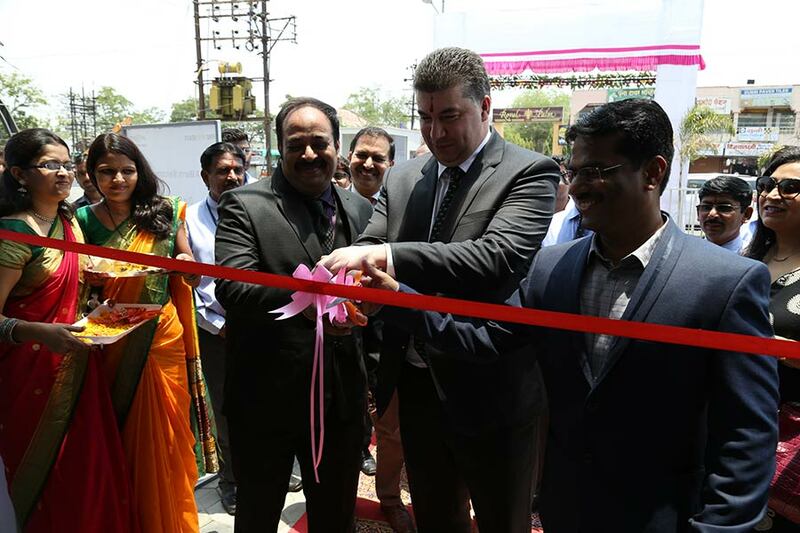 As part of its commitment to reach out to more customers, General Motors India today inaugurated a new dealership in Solapur, Aarya Chevrolet, increasing its reach to 22 sales outlets and 26 service facilities in the state. In all, GM India now has 202 Sales Points and 227 Service outlets across the country. Aarya Chevrolet is a 3S facility integrating sales, service and spares to cater to the needs of the customers in the region. We have opened the new dealership in the wake of the increasing popularity of Chevrolet vehicles in Solapur. The facility will be headed by Mr. Rahul E. Basutkar and Mr. Nilesh V. Yadav, who are recognized as prominent business leaders with strong credentials in the state. We are confident that under their able leadership and guidance, the dealership will set new benchmark in sales, service and customer satisfaction. GM India has also developed digital applications such as the Chevrolet Service Estimator Online tool available on the Chevrolet India website, which helps calculate periodic service costs, and the MyChevroletIndia mobile application, which helps locate & contact the nearest authorised Chevrolet service station. All these packages further improve the overall ownership experience of Chevrolet vehicles under the Chevrolet Complete Care program.